If you talk about the product, you get to try out the product. Today I will be talking about our SodaStream again. 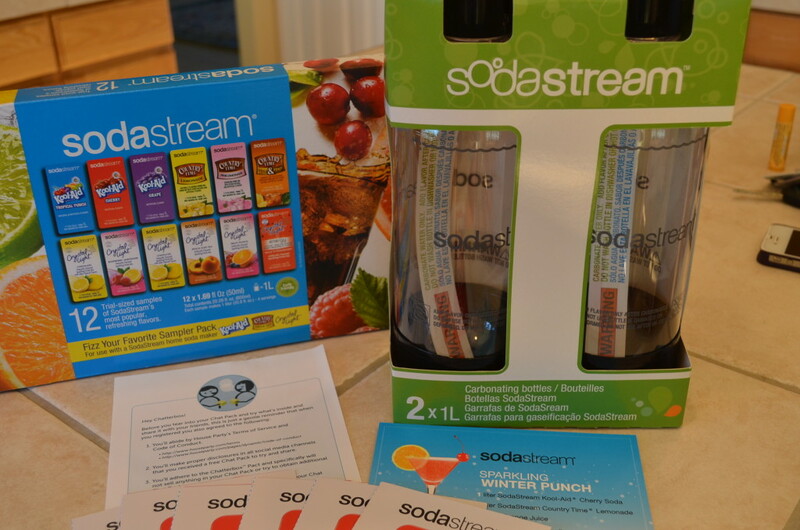 I had written about it last year when we first got it, and one of the most popular posts I’ve ever written for GeekMom is about a Soda Stream syrup hack using real sugar. We’ve had our SodaStream just under a year and we like it a lot. We’ve had to replace the CO2 cartridge three times in that year, meaning we’ve made nearly 200 liters of soda with us. We’ve tried the SodaStream-brand syrups, we’ve made our own syrups, and we’ve tried the Mio-type concentrated flavor syrups. The latter option has been the most convenient for us, and that’s what we tend to do most often. With that background, I had applied in January through the House Party social service to try out some Soda Stream flavors and talk it up through social media.